Join him in his thrilling adventures through Colombia, Argentina, Brazil, Paraguay, Ecuador, and Peru. Available as a download or paperback. Attractive Rosa Zuleca manages a Los Angeles carwash, which she owns with her brother, Enrique, a cardiologist in Cartagena, Colombia. She accepts a date to go dancing with Benny Goldfarb, a private investigator and long-time customer. The next morning, at the car-wash, a menacing stranger appears, demanding that Rosa sign over the business to him. Phone calls to her brother go unanswered. She believes her brother is held hostage. Desperate, she asks Benny for help. He has two weeks to find her brother in Colombia. Benny never could have imagined the obstacles he would face and from whom he would receive help. The investigator’s professional distance from his client becomes compromised by the romantic dance with Rosa. Their future together is threatened by the consequences of the Spanish Inquisition on Rosa’s family. 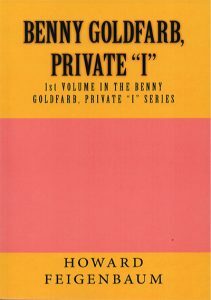 Benny Goldfarb, Private “I“, a detective novel by Howard Feigenbaum. An Argentine racing syndicate uses four horses as collateral for a loan. When the loan defaults, the bank discovers that the horses’ identities have been forged. 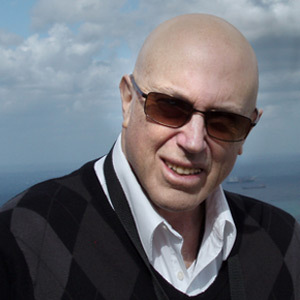 Benny Goldfarb, Private “I” travels to Argentina, Brazil and Paraguay to unravel the fraud. The tri-border area is a haven for criminal gangs and terrorists. They stand between Benny and his client’s money. Benny’s love interest, Rosa Zuleca, comes to terms with her newly-discovered family history–Sephardic Jews who left Spain for South America to escape the inquisition. 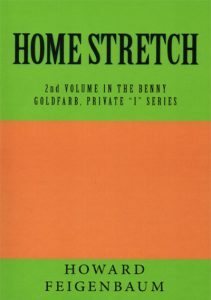 Home Stretch, a detective novel by Howard Feigenbaum. Bonita Quintero knows that her husband, Esteban, the Panamanian Consul General in Los Angeles, is having an affair. She wants Benny Goldfarb, Private “I” to get information about the girlfriend and to locate her husband’s hidden assets. An FBI agent contacts Benny and asks him to take the case. Esteban’s lover is an agent for the Chinese military. The Chinese have asserted their influence in Central America. Control of the Panama Canal hangs in the balance. Hot Zone a detective novel by Howard Feigenbaum. Travel, Adventure, Suspense, Intrigue, Romance.